In an age when laptops are more powerful and offer more features than high-performance servers of only a few years ago, whole groups of developers are discovering new opportunities in their data. However, companies without a large development department still lack the manpower to develop their own software and tailor it to suit their data. The pandas Python library provides pre-built methods for many applications. The Pandas acronym comes from a combination of panel data, an econometric term, and Python data analysis. It targets five typical steps in the processing and analysis of data, regardless of the data origin: load, prepare, manipulate, model, and analyze. The tools supplied by Pandas save time when loading data. The library can read records in CSV (comma-separated values), Excel, HDF, SQL, JSON, HTML, and Stata formats; Pandas places much emphasis on flexibility, for example, in handling disparate cell separators. Moreover, it reads directly from the cache or loads Python objects serialized in files by the Python pickle module. The preparation of the loaded data then follows. Records are deleted, if erroneous entries are found, or set to default values, as well as normalized, grouped, sorted, transformed, and otherwise adapted for further processing. This preparatory work usually involves labor-intensive activities that are very much worth standardizing before you start interpreting the content. The interesting Big Data business starts now, with computing statistical models that, for example, allow predictions of future input using algorithms from the field of machine learning. For a long time, the main disadvantage of interpreted languages like Python was the lack of speed when dealing with large volumes of data and complex mathematical operations. The Python NumPy (Numerical Python) library in particular takes the wind out of the sails of this allegation. It loads its data efficiently into memory and integrates C code, which compiles at run time. The most important data structure in NumPy is the N-dimensional array, ndarray. In a one-dimensional case, ndarrays are vectors. Unlike Python lists, the size of NumPy arrays is immutable; its elements are of a fixed type predetermined during initialization – by default, floating-point numbers. The internal structure of the array allows the computation of vector and matrix operations at considerably higher speeds than in a native Python implementation. If you prefer 1 as the initial element, you can create an array in the same way using np.ones(). The use of np.empty() is slightly faster because it does not initialize the resulting data structure with content. The result, therefore, contains arbitrary values that exist at the storage locations used. However, they are not suitable for use as true random numbers. The syntax of np.empty() is the same as np.zeros() and np.ones(). All three functions also have a counterpart with the suffix _like (e.g., np.zeros_like()). These methods copy the shape of an existing array, which is passed in as an argument and creates the basis of a new data structure of the same dimensions and the desired initial values. The methods mentioned also accept an optional dtype argument. As a value, it expects a NumPy data type (e.g., np.int32, np.string_, or np.bool), which it assigns to the resulting array instead of the standard floating-point number. In the case of np.empty(), this again results in arbitrary content. to generate a sequence from 3 to 10 with a step size of 2. Multiplication, division, subtraction, and power calculations with ** work in the same way. Additionally, NumPy has some universal functions for further calculations, such as sqrt() and square(), which compute the square root or the power of 2 for each content element of an array. Access to the elements of a NumPy array involves indexes and slices as in Python. The first element is returned by array, whereas array returns the first two. For multidimensional arrays, a comma-separated argument list accesses the individual dimensions, such as array[0,2]. Again, slices allow the extraction of areas. In addition to the list functions, NumPy also supports set operations. The unique() method only outputs the different elements of an array and, in practice, creates a set. Intersections and union sets of one-dimensional arrays with intersect1d() and union1d() are also at hand. In this use case, too, you can pass in a list separately as an index argument so that only those elements that exist in the index make their way from the dictionary to the resulting Series object. Conversely, Pandas initializes values for indexes that are missing in the dictionary, as non-existing (NaN). In the following case, the entry for 'D' is missing from the results, whereas 'C' is initialized without a value. Indexes are separate Pandas data objects that are generally immutable. However, they can be replaced with the reindex() method. It accepts a list as an argument, as well as the index argument, when initializing a Series. The s indicates a previously generated Series object. An optional index list determines the indices, as for a Series. Columns that are not in the columns list are dropped. However, Pandas again initializes undefined columns with NaN. Access to a column in a DataFrame is again via dataframe['a'], as for a dictionary. Additionally, the columns can be accessed as attributes of a DataFrame object: dataframe.a. If you instead want to address a row, the DataFrame attribute, ix lets you do so: dataframe.ix['top']. Like Series, the DataFrame object also supports the reindex() method. By default, it references the row labels, but the columns argument replaces the column names in the same way. For both Series and DataFrame objects, the drop() method removes one or more lines. In the first case, you state the desired index as an argument. A list is used to delete multiple rows: s.drop(['b', 'c']). In the Big Data real world, the data to be analyzed do not usually originate directly with the application that analyzes them. Pandas thus comes with some auxiliary functions that read popular file formats and transfer their contents directly into Pandas data structures: read_csv(), read_table(), and read_fwf(). 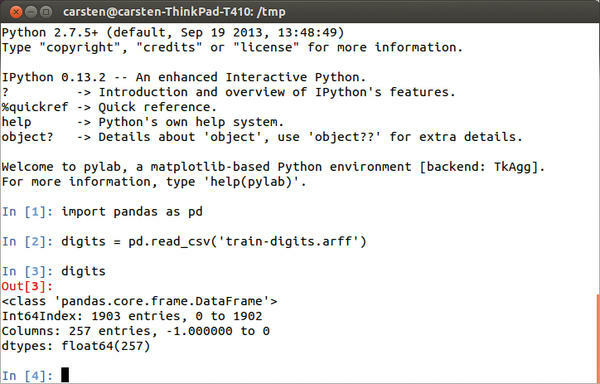 Figure 1 shows an example of a session with the advanced Python shell, IPython, and a call to read_csv(); Figure 2 shows a curtailed record. Figure 1: IPython and Pandas for interactive data analysis. Figure 2: Pandas reads and writes data from and to files and displays the data in a clear-cut way. These methods expect data sources in tabular form (i.e., one record per line and comma- or tab-separated cells). Arbitrary field separators can be defined with the sep argument in the form of simple strings or regular expressions. For read_fwf() only, fixed field widths remove the need for field separators; instead, you pass in a list of field widths, stated as the number of characters, or colspecs, stated as the absolute start and end values of each column as a tuple. As a data source, the read methods always expect the first argument to be file names or URLs – or a path. By default, Pandas reading methods interpret the first line of a file as a header that contains the column names. If you set the argument header=None when calling the method, the first line becomes the first record. In this case, it makes sense to pass in the column names as a list using the names argument. To save memory and time when processing very large files, the iterator=True argument instructs all the read functions to do the reading chunkwise. Instead of returning the complete file contents, they then return a TextParser object. The size of the read chunks is specified by the chunksize argument. If this argument is set, Pandas automatically sets the iterator to True. Using a TextParser, you can read and process the data line by line in a for loop. The get_chunk() method directly returns the next chuck of the file. The Series and DataFrame structures make it just as easy to write their content to files. Both have a to_csv() method that expects the output file as an argument; if you instead specify sys.stdout, it passes the data directly to the standard output. The default field separator is the comma, but you can declare an alternative with the sep argument. If so desired, Pandas uses the pickle module to store binary format objects on disk. Series and DataFrames, and all other Pandas structures, support the save() helper method for this. It simply expects the output file as an argument. Conversely, the Pandas load() method reads the file and returns the corresponding object. 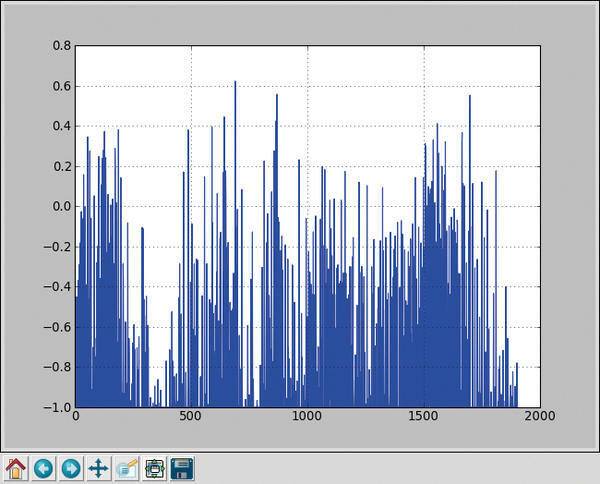 The data library also adds support for HDF5 (Hierarchical Data Format), which is used, among other programs, by Matlab mathematics software. The advantage is that it can be read efficiently in chunks, even when using compression, so it is particularly suitable for very large data sets. These calls read the file.h5 HDF file, whose data structure contains a Series object named s1. This is also stored in the s1 variable. here, by combining the columns of two DataFrames on the basis of identical indices by default. If instead you want to use another column to identify the records to be merged, you can use the on argument to specify the relevant name. This of course only works if both data frames contain a like-named column. generates a DataFrame from multiple Series objects. In this example, the function concatenates the sources on the basis of the columns (axis=1), instead of line by line (axis=0). SQL database users are familiar with the concat() functionality from joins. By default, the inner method is used; this generates an intersection of the keys used. Alternatively, you may use the outer (union), left, or right method. With left and right, the result of a merge contains only the keys of the left or right source object, respectively. Pandas offers a plethora of auxiliary functions for data manipulation. The DataFrame methods stack() and unstack(), for example, rotate a DataFrame so that the columns become rows and vice versa. finds all entries that contain the ADMIN string. Pandas offers many data manipulation methods that I was unable to cover in this article and many equally unmentioned arguments that change functions into useful helpers in more or less everyday application cases. Moreover, Pandas uses the plot() method (Figure 3) from the Matplotlib library to visualize DataFrames and Series. The Pandas documentation contains a complete reference (Figure 4). Figure 3: Using Matplotlib to visualize Pandas records. Figure 4: The Pandas documentation lists all of the library’s resources. The Pandas data library shows that Python is mature enough – mainly thanks to the NumPy foundation – to take on compiled languages in terms of speed, while offering the benefits of intuitive syntax and a variety of interactive shells.